A few years ago, Rob was bored with his job and knew something had to give. He set aside some distractions, joined Guaranteed Rate, and determined to get himself out of his comfort zone every day. That’s when things started to change. Rob’s business doubled the first year. By employing time-saving systems and getting out of the office to build relationships with REALTORS®, he built up a network of agents, and referrals now comprise nearly 100% of his business. Much like Nicole Rueth shared on Episode #112, Rob doesn’t take these business relationships lightly. In fact, he refers to his core, loyal agents as partners and friends. These reliable relationships are helping him sleep easy at night. With the threat of a future Zillow mortgage company looming large, Rob recognizes that the real estate and lending market is still largely local and is far from being automated. Having a local presence and having real friends in the REALTOR® space can make all the difference. Ready to grow your business in the new year? Check out the new Mortgage MarketingPRO membership which helps you get more Agent referrals, convert more clients and build your online presence. Geoff: This week, I am bringing to you Mr. Rob Wishnick, VP of Mortgage Lending out of Philly. Go dirty birds Philly. And we are talking about Rob’s story, how he, in just four years, took his production from 12 million to 80 million. 243 loans in 2018 for 80 million in fundings. Perhaps more significantly, folks, is the fact he doubled business in one year. So we’re going to unpack how he does that. He gets 100% of his business as referral, 95% of it is purchased business from real estate agents. He has about two to three dozen core agents that are on his A-list team that consistently send them almost 100% of their business, if they can control that. So we’re going to unpack this. We’re going to talk about what really changed Rob’s business was how he forced himself to get outside of his comfort zone. And he had a shift in mindset and looking at himself and how he identified himself as a mortgage professional. You’ll hear him talking about that. You’ll hear him talking about some of the daily activities he does and what he’s doing to consistently grow his brand and is he worried about disruptors like Zillow and Quicken. Is he concerned? You’ll hear his story and more. Without further ado, let’s get into this week’s show. Hey, Rob. Welcome to the show. Rob: Thank you. Thanks for having me. Geoff: You bet, man. Appreciate you being here from Philly, the City of Brotherly Love, isn’t it? Geoff: Are you feeling the brotherly love out there? Rob: Yeah, yeah. Bryce Harper just came on, soo we’re all ready for baseball season now. Geoff: Yeah, man. You got tickets or what? Rob: I just pick them as needed. No season tickets. Geoff: There’s a whole story there. Right? Instead of signing with the Dodgers, he went to Philly because of the taxes partly. Rob: There were about three or four cities that he was thinking about. At the end of the day, I think he was looking to finish his career in a city, and we gave him the contract. Geoff: You gave him the best offer. What’s that contract worth? Rob: 330. $330 million for 13 years. Rob: We’re in the wrong business. Right? Geoff: Right. I should have stuck with little league. I doubt I’d be anywhere close to that. Alright, man, let’s get into it, because I know you’re busy. Quick background introduction for the listeners. Tell us who is Rob. What does he do? Why does he love doing loans? Rob: Rob Wishnick, Guaranteed RAte. I got in this business 16 years ago. Four years ago, came to Guaranteed Rate, and that’s where the business really took off. Learned the business the right way. Had some group people to teach me the business. Came in knowing absolutely zero. Learned by processing and learning how to put a funnel together, understand guidelines, where they’re coming from, so that I can thoroughly explain it to a client. And then I got to point in my business where it was sort of getting stale, and I was getting a little bored and wasn’t sure what the next step was. I was with that first company for 12 years and then found GR. That’s where it really took off. More resources, processing systems that allowed me to go out and look for business. It freed me up to get out of the office, and that was the start of it being a game-changer. And then something in me just sparked as it started to get busier. It was easier for me to have more confidence, go out and pitch what we do best. And it just continues to take off. I make myself uncomfortable every day. I get myself into doors that I probably wouldn’t have before, but business breeds business, and you start to do more business and more people want to talk to you. So that’s where it took off. Geoff: There’s a few things I want to unpack in there. Let’s first handle the numbers for those listening. 2018 units and volume. Rob: 243 units for 8.7 in volume. 8.7 million in volume. Geoff: Congratulations, by the way. That’s a helluva lot of units. What does your team look like? Who’s helping you manage all that? Rob: My service I built around trying to make an optimal experience for the borrower. So I’m leaner on the marketing side. I let a lot of Guaranteed Rates resources take that over for me. So my team is two processors, someone to start the file and start chasing [inaudible 0:08:07] in the very beginning. And then I have a sales support who is my right hand and really helps with getting a lot of estimates out for me, working out some of the deals so that if I’m on the road and client needs pre-approval quickly, needs some numbers thrown at them really quickly so they know if they want to make an offer, he’s helping with that information, watching the pipeline, making sure that’s flowing, again, if I’m away from my desk so that there’s somebody behind the scenes always watching the pipeline flow. Geoff: Those two processors, are they dedicated only to you? Rob: No. We have a two-processor system. One basically takes the file from application to commitment letter, and the second takes it from commitment to closing. So the first-in-line can handle more deals. So I share that first with number one officer, and then the second is dedicated to me. Geoff: Cool. Thank you. Whenever loan officers listen, they love to know the details about “Wait a minute. He’s got two full-time processors? No wonder he’s doing 243 units.” That’s what you hear, Rob. We’re here to dispel that myth. That’s not why that is. Very good stuff. You know that the focus I want to have for this conversation is the journey from 12 million to 80 million, because you did that in, as you shared, four short years. And that is like a big jump. I’m trying to do the math on that. Four years… What was that? A $20 million lift a year? Maybe a little bit less than that over four years? Rob: First year went from about 12, 14 to $30 million. Geoff: You doubled your first year. Rob: My first year at GF, yeah. It was from 12 or 14. I can’t remember the year when I ended. But the first year with GR was 30. Then I went to 56, 64, and then 80. Geoff: Wow. Okay. So you said a couple of things in your introduction which was, there was a point in your career where you were like, hey, maybe it’s time to make a change. I don’t want to talk about — because you referenced it a couple of times — Guaranteed Rate and some of the resources they have that free you up to be able to go originate, which is like your main job. But I don’t want to overlook the fact that you said something switched in you. And the reason why I don’t want to overlook that is because I think that is oftentimes the differentiator between somebody who doubles their business in a year or not. Can you just briefly unpack, if you look back at that point, you’re at 12 or 14 million. You’re deciding to make a career change or shift companies, simultaneously something switched in you. What was that? Rob: I was getting pretty bored of writing another application. It was just the same mundane path over and over. And then knowing that I was having my hand in chasing a lot of those documents, helping the processors get to the finish line, it was just every loan became a heavy, heavy task. So when that was freed up for me, it allowed me more time to really go out and sell. I saw it as an opportunity. I’ve always been an entrepreneur at heart from the time I was 12 years old. I’ve always had my hand in a number of things — nothing full-time except for being a loan officer — but just always different interests. And when I made the move to GR, because it had gotten to a point where I was getting pretty bored and the job was getting pretty stale for me, I said, I’m freeing up everything else to make a real run at this to really boost my volume and make this a career, because I didn’t even see it as a career. It was more of a job. It was my own business, but it was becoming a job. That excitement was gone. So joining GR, getting rid of all those other interests and really just making this the business. Geoff: You went in all in. Rob: It really helped my mentality. It boosted everything. Geoff: So I’m hearing then you had some other distractions because of your entrepreneurial nature that is stealing away your intention? Rob: Yeah. Absolutely. You’re working with REALTORS®, and you’re talking to your clients, and everyone has their own things going on. It’s interesting. It’s interesting to hear people’s stories and what they’re involved in, especially the real estate community in Philadelphia where we’ve gone through this boom too, and people involved in all sorts of [inaudible 0:12:50] projects and you name it. And it’s hard not to get interested in that. But the best thing for me and my career was just that tunnel vision. Focus on the loan. Geoff: That’s awesome. You kind of had a light switch on or whatever. And you’re like, okay, if I’m going to do this, I’m going to go all in. I like that. Any highlights? You talked about a mentor that helped you get started in the business. Is there anything you can highlight, when you made that switch, you did noticeably differently as compared to before in terms of your daily activities, your disciplines or things like that? Rob: Again, going back to making myself uncomfortable… By nature, part of me, even though I am a sales person, I think my initial instinct is just want to stay at my computer and handle the pipelines and email and phone. But getting out more, getting out in front of agents, getting out in front of consumers at consumer events. So making myself, forcing myself to do that more really paid off. And you realize people don’t want to be in this alone. People don’t want to sit in front of their computer all day. Get people out. Sometimes it’s a breath of fresh air for them, especially real estate agents, depending on what type of environment they’re in, a lot of them are on their own island. If you can help support them and give them a nice environment to be working from — invite them out to coffee, lunch, whatever — they’re more than willing to be receptive to that. Geoff: What are some of the things that you do or did that were outside of your comfort zone? Rob: Face-to-face consumer meetings. I wasn’t doing that all that often. So I started doing that a bit more. Asking for business but delicately in my own way. Rob: Yeah, from agents. Exactly. “Why aren’t we working together? What can I do differently? What can I do to help?” But beyond the basic pitch. I try so hard in my business to not be like others, like what I see as other loan officers. I don’t want to be the nag. I don’t want to be the thorn in an agent’s side that’s just another lender asking for business. I try to bring my own little value proposition, so to speak. Asking for business is a big thing too. Geoff: So you try to bring your own value proposition. We hear that term thrown around a lot. I’d be interested to learn what is your value proposition perhaps, how you articulate that to REALTORS®. Rob: Sure. The experience plays a lot into it. This is my career, first in foremost. I’m in this to make sure that at the end of the day, you’re going to get your commission, Mr. or Ms. Realtor. That’s important. You gave us that referral. We’re going to make you shine. But really, what I try to really preach with my team and what goes out to the clients is trust and transparency. At the end of the day, we saw a lot of dirty things in this business when I started 2003 and 2010, so I know when a client comes to me that they are going to get that trust. They’re going to get that transparency. What we promise in the beginning is what they’re going to wind up with. They’re not going to have to worry about any sort of bait and switch or knowing that there’s not a professional working with them at all times. So preaching that trust and transparency. I never ever will get at a closing table where somebody will ever say that what they got at the table was not exactly what they were promised. Geoff: So do you have any type of guarantee that you actually state, that the closing costs will match the estimate or anything like that? Rob: No. What I tell people is you’re working with a local lending expert. I think the word “guarantee” is really thrown around way too loosely these days. I’ve never felt the need to put that on paper that here’s the closing cost guarantee or whatever, because at the end of the day, we’re going to make things right. We don’t even have, obviously, the ability to change fees or anything like that. It’s not even an option. One of the things, as weird as it sounds, one of the things that I actually do like doing is I like working up estimates for clients. What I’ll tell people when I send them off with a pre-approval is shoot me an address. You see something, you’re out with your REALTOR®, you see something that you like, shoot me an address. From there, I can show you [inaudible 0:17:52]. Show them three or four different scenarios. If you want 20% down, 10% down, whatever, with monthly PMI, without… I actually sort of like that. We’ve got some cool systems at GR that really allow us to do that pretty quickly, and it’s a nice, clean format that we spit out with these estimates. So it’s very easy for the consumer to understand. Geoff: That’s an interesting thing to highlight there. It seems to be, if I’m hearing this correctly, that, when possible, you’re always giving people more than one loan option to choose from, like three. For the most part, in our market, fixed rate is king, and 30-year fixed is the primary amount of business. Literally more than 95% of the loans we’re doing annually. So it doesn’t really come up with too many programs otherwise, but we throw the options out there, if they want to hear them. Geoff: I want to unpack that a little bit. Like you said, you’re an entrepreneur, sales professional, that kind of stuff. A best practice in sales is to allow the consumer to have a choice. Is that a standard practice for you, to always show up to three options and then that helps the customer to be educated and position you as their trusted advisor? Rob: Sure. At the very onset, I’m trying to get two numbers from the client. “How much do you want to use for this transaction, and then Philadelphia closing costs are pretty steep. So how much do you want to use for this transaction?” And there’s no wrong answer. Number one is that. And then number two is “Where is their monthly payment comfort level? Everything but utilities. Give me of sense of how much you’re looking to spend.” And based on those two numbers, I’m going to help you find the range that you should be looking in, and then it gives me a sense of should we be looking for similar assist in the deal or should we be looking toward pushing more toward the down payment and the assist for closing costs and things like that. So those two numbers. From there, I can run with a lot and show them options. So many people come to you, and they think that this down payment is everything and that they can roll closing costs into a purchase. It’s like, well, it’s not that simple. And we’ve got to dedicate a decent amount. It’s typically over 5% for closing costs in Philadelphia. So it’s a pretty substantial amount. So where is that money coming from? And are you using all of your savings to get in? Is that a wise move? Are we saving for a rainy day fund here? So just getting to know. And it really doesn’t take long, taking a couple extra minutes with the client. You can really find out so much and what their needs really are. And then you go with the rest. And it just builds that… We’re not advisors, so to speak, but it builds that trust. Geoff: So you are the first point of contact then for somebody inquiring about a loan? Geoff: And most of those conversations are over the phone versus in person, or is it a mix? Geoff: Obviously, that initial conversation is kind of short because you want to get the data and push them off did app. Then on that follow-up conversation, on average, how long are those conversations with people? Rob: Really, 10, 15 minutes. As long as people need. But really, 10, 15 minutes. Once we have the information, 10, 15 minutes is usually all we need. Geoff: There’s a lot of talk about your style and the different parts of the country are different and the type of buyer, but there’s a lot of talk about the goals and the dreams and the wants conversations with people when they’re buying a home. Going deep, if you can, with people to kind of build that fence around it. Are you consciously trying to do that? Or can you give me a little bit of insights as to what your goal is during that longer conversation? Rob: It’s all about meeting their needs. Do you want to be house poor? Or do you want that cushion? And most people, when you talk to them, they’re going to be a little more conservative off the bat, and that’s fine, because that’s a starting point. Based on the number you gave me, here’s the ranges I think we should be looking at. Are you looking at a property with a tax abatement or not? What areas are you looking in? So it gives me a sense of where I should be estimating taxes, which is, obviously, a number we don’t have at that point, but I have a sense based on where they’re looking. From there, it’s like here’s the range that I think is going to be within your comfort zone. And let’s talk with your agent. Let’s get you started with a search for up to said amount, and then if you think, as you start to see places, if they think you’re not finding something in that range and you think you’re willing to sacrifice a little bit either on the monthly on maybe putting more cash into it, then we bump up the amount. But I rarely will ever give a pre-approval just for a maximum amount. It’s one of my least favorite requests that I get in the business. Because why lay those cared out to a seller, first of all? And then why put yourself in an uncomfortable position? If, for some reason, you decide to put an offer, and you didn’t ask me for the numbers beforehand, and now all of a sudden, you got yourself into this contract, and you petrified of the monthly payment… Why didn’t we have this conversation before? So come back to me. I going to give you pre-approval. Yes, you’re pre-approved. Congratulations. But I [inaudible 0:24:10] yet. Once you see something that you think you may want to make an offer on, send me an address, let me run some numbers for you, make sure you’re comfortable, and then we’ll fire off a pre-approval letter. Geoff: I wrote down from our last chat, if this is correct, 100% of your business is referral? Geoff: And that’s mostly from agents? Rob: Yep. Agents and business to network that I’ve built over the years. But I’d be lying. It’s almost all agents. Geoff: I’m thinking of the conversation of rate shoppers. In the context of you getting 100% of your business as a referral from real estate agents, one, you assume that there’s the implied trust that comes with that referral so that the shopping perhaps would be reduced. But I’m curious what you’re seeing or to what degree you’re experiencing rate shopping. Rob: We’re in a major market. There’s banks at every corner of the city. So it comes up a lot, and that’s where experience is key. What we do here in Philly in our branch, the amount of business we do out of our branch is huge. We’ve made ourselves the household name is Philly as a trusted lender. So that’s a huge piece. You’re maximizing your chances of getting to the closing table. There’s horror stories you hear about at closing from your friends and family that they’ve had these horrendous experiences, like closings blowing up, things like that. We just don’t let that happen. We do a lot of homework upfront. There’s so many pieces to the machine. There’s so many cogs in the machine that we’re working on and making sure everything is moving through the system as it should, that your commitments are being met, that the closing that, we’re not late on anything. The rate shopping, you can’t avoid it. With all the online advertising today, once you type the word “mortgage” into Google, it’s off to the races. Every website you go to, an ad is going to pop up with disgustingly low rates. And it’s like, well, there’s a lot of fine print. We’re not a one-size-fits-all business. And do you want to get into a fast-talking phone salesman, or do you want somebody who is going to walk you through this process? And you’re going to have someone on my team and me, my cell phone — text me, call me anytime, 24/7. And you’re going to have somebody at all times holding your hand here. Geoff: So you don’t often have the situation where people don’t recognize your company’s brand? Rob: No, we do. Yeah, we do. Again, we’re in a major metropolitan area, so we’re surrounded by the big banks. Geoff: Who is your biggest competitor there in Philly? Rob: It’s the in-house lenders that maybe were the first point of contact, the first point of contact for the consumers, because they were sold on convenience. But it’s a different mentality. When you have someone that is literally just being… They know certain deals are going to wind up on their desk at the end of every day and somebody that has to fight for it, it’s a different mentality. I’ve got to earn the trust on every single deal. Geoff: That’s good, by the way. Thank you for sharing that. We could keep going deeper on your whole consumer conversation strategy, and you’re welcome to throw in anything else you want, but what I’d like to do perhaps is pivot to this discussion around 100% of your business is coming from referral. And so there’s two directions to talk about there. Number one, I’d love to learn about how you’ve built such a reliable, loyal — dare I say — group of real estate agents, and how many A-player agents are on your bus right now? 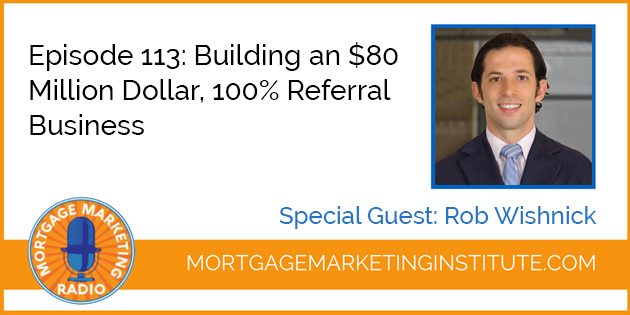 Rob: I’d say agents that I get every single one of their leads, that I am truly their preferred lender is probably about two and a half to three dozen. And then the next two to three dozen, I’m one of those two or three preferred lenders. And then after that, we’ll get the save deals, and we’ll get the one-offs or the business referral from my business network. Things like that. Geoff: Dude, hold on. Pause. Stop the presses. Two dozen, let’s just say, 24 REALTORS® who are like fall-on-the-sword loyal to you whenever they can possibly direct the deal to you. They’re not doing the three card thing. 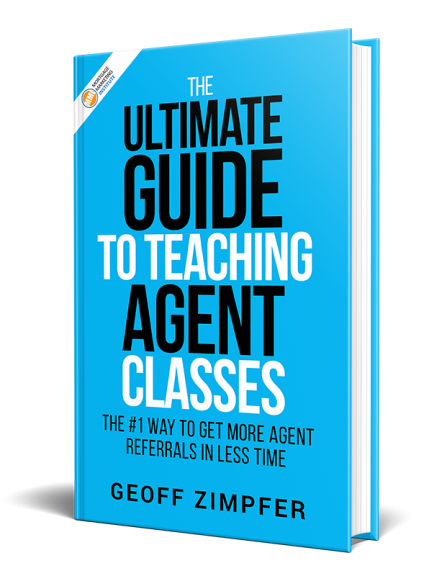 Geoff: And how do you get to that level with an agent? Rob: Time and time again, you’ve got to deliver. At the end of the day, it is about delivering. You really have to be sharp. The toughest thing that I’ve had as I’ve been growing is trying to step out of the business a little bit more to do business development while maintaining the same service. And it is hard. It is a daily task. And at the end of the day, I am hitting inbox zero whether it’s just to follow up with somebody and say, “Hey, I saw your message. Let me get back to you tomorrow. Let me work on some things for you.” But you’ve got to be there with the responses. You have to be there with the right answers. And it’s okay to sometimes not have the answer, but you’re going to get the answer. Geoff: I want to get a little bit more tactical for those that hear that figure, because it’s quite mind-blowing to me as well. I didn’t have to many, even though I’m similar to you. About 70 to 80% of my business was referral from real estate agents, but it’s changed. And there is this psychology of sometimes of three card or the double apping. I want to get this question out of the way because it’s just coming back in my head. I have to do it. How many pre-qual or loan app calls are you taking on average a day? Geoff: Do you have a mentality of a loan a day or something like that? Rob: That was the goal last year, was to try to get to one loan for every business day closed. Now I’m trying to make it one loan per calendar day. Now we’re entering crazy season. In January-February, it’s tough to not hit the panic button and be like, why am I not getting all these lately. It’s January. It’s supposed to be slow, but we try to make it not so seasonal anymore. Geoff: Just to jump back on the agent thing. I had to get that out of my brain. So for the agents, do you make yourself available 24/7? What are the parameters you set on those agent relationships in terms of expectations? Rob: Probably don’t take my advice on this, but for me, I’m all in. I definitely have my times where I shut off. They’re not set times. But my phone is always on, and I have a habit of looking at it. So if I can’t handle something, I’m trying to get my team to notice. Like I said, my assistant, he’s on the app side. The app side, we really make sure that they’re working normal hours, because we have to keep them sane, for sure. My team member that helps with the sales cycle, he’s on every email, so he sees everything that’s coming in. And between us, we’re delegating. If I have to be out for a couple hours, he monitoring that stuff a little bit more. I can’t say I’m not looking at it seven days a week. Geoff: I get it. But if you’re out at the family barbeque or picnic or in a movie, are you stepping out? Rob: Trying to be more mindful with that. Absolutely. Rob: We definitely have our downtimes, and I have my family time, for sure. There’s no doubt about that. Geoff: Like after nine you won’t take a call? You’ll text somebody back, whatever? Rob: Exactly. But that’s where, again, our digital mortgage helps so much. “Hey, I’m not at my laptop right now. I can’t help you right this second. Can you spend 10 minutes online? Fill this out as best as you can. Once I get a chance, I’m going to review it for you.” It makes it a 24/7 business by having that. It’s fantastic. And then you’re still going to review everything. Geoff: There’s two roads you go. Right? One is like hey, man, come at me. I’m all in. I’m available 24/7. And then there’s the people who are building some communication expectations around that with their agents as they bump up against that. If you have an agent that’s like “Hey, man. I texted you at 9:00, 10:00 last night. You didn’t respond.” Then it’s like, hey, let’s build some expectations here. Rob: I try to lay it out that if it’s an emergency and it’s 9:00 at night and you need to get in the offer tonight, let me know. Just let me know the urgency, because if it can wait till the morning, let’s just wait until the morning. But if it is an ungodly hour, and it’s necessary you have to get this up and you’re up against three other offers and it has to come in tonight, just text me. Let me know, and we’ll make sure it happens for you. Geoff: Two last areas I want to talk about is, one, how do you market and promote yourself to agents, because it sounds like you have a big database of agents. Even your inner circle is two and three dozen, like you said. What’s some best practices on how you’re getting in front of those agents to get them to choose you? Rob: Reputation. Some of those initial core dozen put me in touch with the next dozen. If you do a good job for someone, they become your billboard, so to speak. Rob: Right. And to be honest, you get to a point where you don’t even have to ask that. You become friends with them. They’re business partners. They become friends. This is the referral part of the business. You want to do business with people you get along with. You want to do business with people that you respect. And if you do a good job for them, they want to see you succeed, just like anybody else. People that like you want you to succeed. And they want to be your billboard without even asking. There’s an appropriate time. And I had, in my first ten years in the business, I really had an issue with that because I didn’t want to step on the toes. If I was the preferred agent for someone and then you ask for business for somebody in that office, are they going to be threatened by that? And some agents would be threatened by that. So there’s a right time and a place. But again, the agents that really want you to succeed and want their lender to be the expert here in the transaction and the quarterback in the transaction, they’re happy to throw your name out. 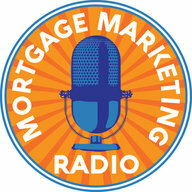 Geoff: Do you do things today on a weekly or monthly basis that put you in front of agents? That could be something like classes or the board of realtor events or happy hours and stuff like that. Rob: I’m trying to get out. Most meetings are over coffee, lunch, happy hour just with an agent or maybe invite a couple of agents out. And I’ll throw a couple of events a year. My client appreciation events are not really geared towards my true clients, the borrowers. They’re more geared towards REALTORS®. That was another thing too. Do REALTORS® want to just be in a room with all real estate agents? Is that fun for them? But, you know, misery loves company. Every time I’m in a room with several mortgage people, that’s who I wind up gravitating towards, and you just share war stories and things like that. The feedback I always get when I have events was it was a great time, and it was great to catch up with some of their peers. It winds up feeding itself. So I try to have some events like that. Geoff: How often do you do those? Rob: I try quarterly. Should I be doing more monthly? Yeah, definitely. Geoff: How many agents attend those, on average, every quarter? Rob: Usually about two dozen. Rob: I’ll also mix up the room a little bit with my business contacts so that it’s not just real estate agents in the room, that there’s some other people for them to meet. So I like to keep it a little bit fresh and have people network. Geoff: So you just host that at some local bar or restaurant or whatever? Geoff: Are you paying the whole thing or doing the drink tickets thing? Geoff: That could be problematic. Yeah. Rob: Everyone can go to get a drink. But we try to keep it a little educational for them. I’ve brought business coaches into an event before. Geoff: It’s this mixer thing, but you’re also providing some value through a guest speaker or content or something. Geoff: Are you working in-house? Any real estate offices? Are you popping into their meetings and doing market updates? Rob: Yeah. Some of the larger teams, I’ll try and pop in and give some information for them. But I’m not an in-house affiliated lender anywhere. I run solo in that capacity. But the teams, we’re trying to always push value. Our marketing is intense, and we can really take the marketing piece off of it if somebody doesn’t have an admin, let’s say, and they need something to take care of their house buyers and pro-co-branded programs, stuff like that. Our marketing is top notch to really help take that off their plate. Geoff: A couple last notes that I say “See here.” One of them is you’re a self-proclaimed non-tech wizard. Not a tech wizard. Are you trying to… This is relevant to the question, I hope. I’m think, because you’re all in on REALTORS®, it’s 100% referral from REALTORS®, I’m wondering if you’re evaluating other channels such as consumer direct. Are you looking at evolving your source of business, perhaps online? Rob: I go back and forth with this. At the end of the day, I wrote 240 loans last year, and that put me in the top of what we do, in the top ranking. That’s not many people overall. So by going out to the masses… We get so many opportunities, so to speak, to advertise and spend thousands and thousands of dollars. And at the end of the day, is that really worthwhile? Because targeting the consumer, again, at the end of the day, that consumer is probably being referred by their real estate agent when they do go to find homes, that real estate agent is probably referring them to a lender or their accountant, or their family is referring them to a lender. So are these advertising opportunities, are they worthwhile? It’s a fine mix of going out to the masses. I think the social media capacity is a big piece, and I think you have to be out there enough so that people remember you and they know you, and it’s another touch. But is that something that I see myself going all-in with or heavily focusing on? No. At the end of the day, I think that it’s an important piece that you can’t forget about, but you need to get face to face somehow. The more face to face or the more touches you can get with somebody, with REALTORS® or for business connections, create referral sources, those walking billboards. You really need more of an interaction. Geoff: Yeah, in terms of the referral relationships. It looks like you have a presence on Zillow in terms of reviews. Is that an active thing you try and get people to do? Rob: Yeah. We’re trying, more so, that’s something that I’ve been working on lately is really trying to get more reviews on Zillow. Guarantee Rate, as a company, we’re with the net promoter score. So every consumer is taking a survey at the end of the day. So asking them to do additional surveys, I recognize, is sometimes painful, because it’s hard enough to get 50 or 40% of people to do the net promoter scores hard enough. Zillow reviews, I think, are important. Everyone is going to Zillow at some point doing a home search, whether it’s their first or it’s just the first thing that comes up on a search when they see a specific property. Consumers are going online to at least see a home, not in person obviously, but at some point, it’s referenced that they can look at, see a price, see the room count, whatever, and then going in person to see it. So it’s important to be visible there with those reviews. And that’s something that we’re focusing on more this year. Geoff: Any concerns? I’m sure you’re tuned in somewhat to the whole talk of disruption. And Zillow, of course, bought a mortgage company. If you’re a betting person, you would bet that they’re going to continue to grow and expand that. Of course, now they’re buying homes directly from people and… One can only foresee what’s coming for that down the road. How much of that is a concern for you? Do you have any plans on trying to combat in that in any way? Or are you just so confident that the referral base you’ve got of REALTORS®, not too worried about it? Rob: You have to be cognizant of it, of what changes in the industry. You have to be cognizant of your competition, what they’re doing. You can’t stay static. You have to keep changing. You have he to keep evolving your business because the consumer is evolving too. Ten years ago, people weren’t going to Zillow with their first line of defense or another resource. Am I concerned about Zillow acquiring a mortgage company? At the end of the day, I get calls every single week to save deals from online lenders. The real estate is local. It’s not entirely true these days, but it is pretty darn important still. And is this process going to be fully automated ever? I’m sure one day down the road, there will be a way to fully automate this. But right now, it is still in an era that is far from an automated process, and you really have to be involved in your pipeline. You can’t just let your pipeline go and pretend like everything is just going to show up at the closing table. You have to know what’s going on or else things can fall through the crack very easily, and that’s the difference between a good consumer experience and a bad one. Geoff: Love it. Last question. What are you still trying to do currently in the life of your business to make you uncomfortable on a more consistent basis? Rob: Yeah. I’m 42 years old, so I think I’m a little past the generation that can be completely out there on social media. But just ramping some further social media presence up, maybe a video one of these days. I keep saying I’ll do videos. But that will eventually come. That’s a big thing. I think I’ve got some good information to provide and just finding the right forum and how I want to put it out there. That’s the goal. And then just trying new things. Again, more so about creating value for consumers and for my agents. That’s more about what I’m looking for. I don’t want to just be, not falsely selling, but throwing random information out there that is just internet junk. I really want to find a little more purpose to that. Geoff: I think you could. I’m just looking at your posts you’ve got on your Facebook page. And to your point about video, the most recent one that happened to be coming up… One of them is “If you see too many for sale signs, that might not be the right neighborhood for you.” What I’m advising people is to take the stuff you’d be posting like that and — I don’t know how this is getting posted for you, but it doesn’t matter — you know this, so I’m preaching to the listeners right now — you take those same things that maybe your company is posting for you or whatever, and you do your own take on that with a video. That’s what’s going to drive the engagement and the trust. So maybe that’s a place for you to start. And I’m happy to check in on you on that and make sure you’re getting out of your comfort zone. Geoff: Appreciate it. I know you’ve got to go. It is time to get back to business. I appreciate you making time here. If anybody wants to reach out of to you, how should they connect with you? Rob: Email me. [email protected] Inbox zero by the end of every day. I’ll get back to you. Geoff: So that’s out of my comfort zone, I gotta tell you. That’s a bit inspiring for me. Rob: My wife has 15,000 unread emails on her phone, and it makes me cringe. Geoff: I know. I have a junk Gmail account just for that. Anyway, man. Appreciate you being here very much. It was a great session. As always, listeners, if you like this episode, please leave us a review. You know where to do that. And we will see you on the next one.